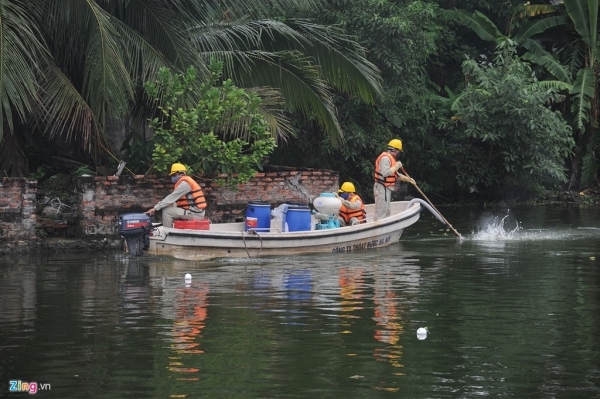 The Hanoi Water Drainage Company Ltd. is cleaning the lakes of Hoang Cau and Van Chuong with Redoxy-3C technology from Germany. 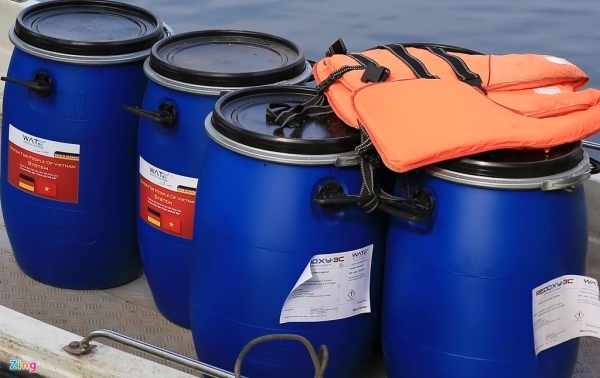 After testing this product to clean the lakes of Ho Me, Giap Bat and Ba Mau with positive results, this technology has been used to clean two major lakes in the city’s center - Van Chuong and Hoang Cau - and some small lakes. This product was exclusively ordered by the Hanoi People's Committee. 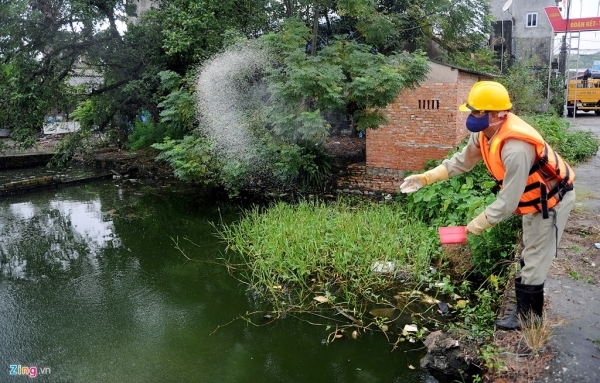 This is the first time an environmentally friendly modern technology was applied to lakes in Vietnam. Workers are checking equipment and pouring Redoxy-3C onto the lake. 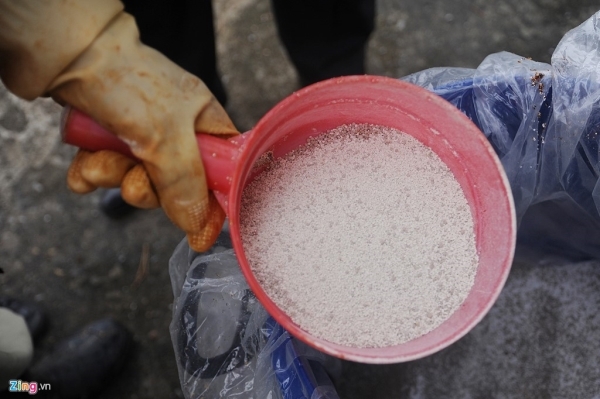 The product is being used to clean 22 lakes and ponds. 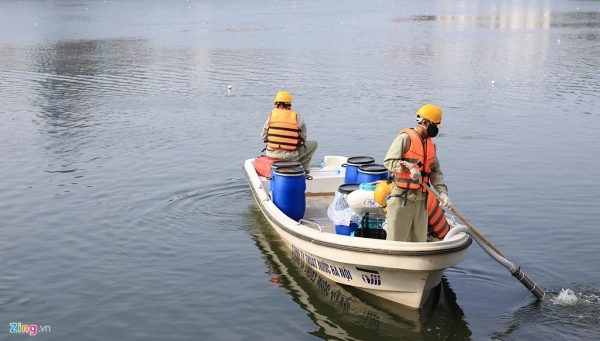 Tran Trong Van, deputy general director of the Hanoi Drainage Company, said that Hanoi will use the product to clean water of other lakes in the city. 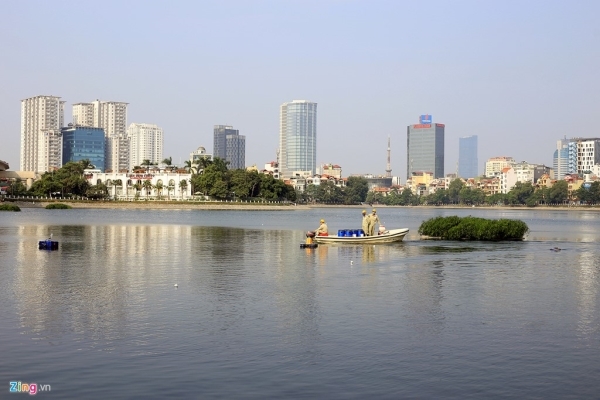 Hanoi Chairman Nguyen Duc Chung had previously invited experts from a German company to Hanoi to research and make a special product to clean water in the lake. 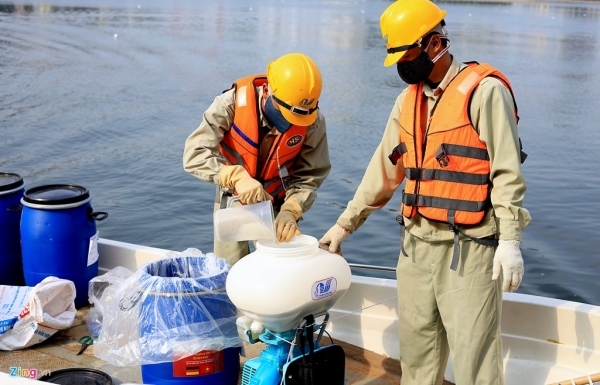 The company handed over the Redoxy-3C product to Hanoi for trial use. This is an exclusive product made for the Hanoi People's Committee.